Simona de Silvestro got her first taste of Formula One on Saturday and Sunday after testing with Sauber at Ferrari's test track in Fiorano. De Silvestro completed 112 laps on Saturday and 68 on Sunday behind the wheel of a 2012 Sauber, repainted in favour of her personal backers, including as Clean Air Energy, who supported her career in the US. 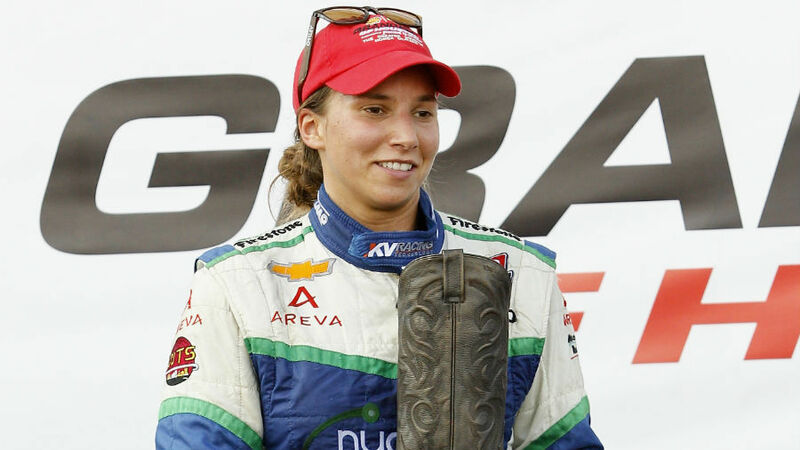 De Silvestro gave up a promising IndyCar career to pursue her opportunity in F1, after she became the first woman to secure a road-course podium in the history of the series at Houston last October. She has already spent much of the season so far working in Sauber's simulator at Hinwil in her native Switzerland. This weekend's test is de Silvestro's next step in qualifying for an F1 super licence, and her programme with Sauber will also see her get back behind the wheel of the C31 from June 25 to 27. De Silvestro has made no secret of her desire to race in F1, which she will be able to do once she aquires her super licence. Following Sunday's test, de Silvestro said: "It was another good day. Everything feels more familiar to me compared to yesterday, when things were new to me. We made some changes to the set-up, which gave me the opportunity to get a feeling for those changes and learn how the car reacts to them. I can say that I already feel confident in the car, which is very positive. "I'm quite happy with what I was able to achieve over the two days. A big thank you to the team who did a fabulous job explaining everything to me, and giving me the time to reflect on this. I had a lot of questions, and I got all the answers from the engineers, who took the time to show me the data and discuss it with me in all detail. I'm already looking forward to my next opportunity to test the C31."